Mossbauer spectroscopy is a versatile technique, representing an essential tool for investigation of materials containing iron. It is based on the Mossbauer effect, i.e. the recoil-free emission and absorption of gamma radiation by nuclei. 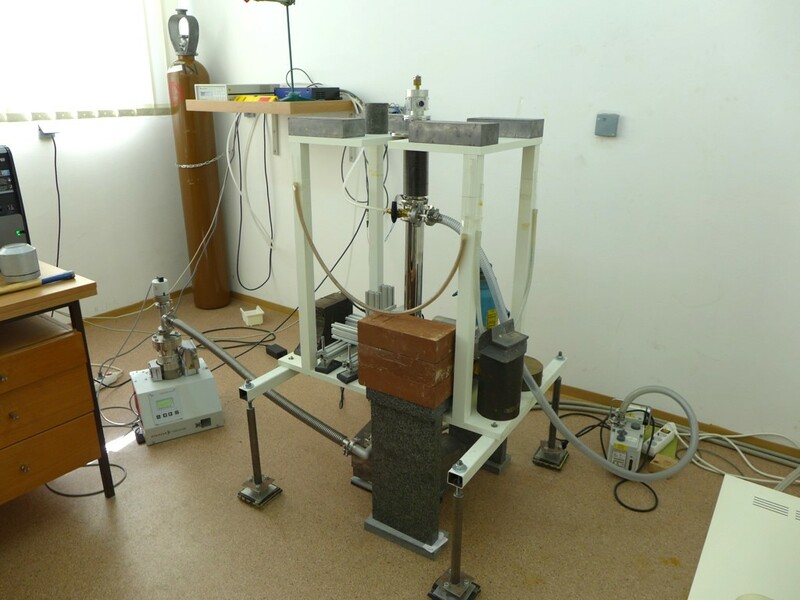 Ability for characterization in a sense of local probing allows determination and quantification of chemical, structural, magnetic and time-dependent properties of a material. Technique is used for examination of valence state of iron, as well as different atomic surroundings, magnetic state and in-field magnetic arrangement of magnetic iron moments. Also, it is sensitive to the relaxation phenomena due to short measuring time limited just by the Larmor precession time for iron nucleus. Beside powder samples, also thin film and liquid bio samples can be measured. Technique is highly element selective, allowing measuring of samples with very small amount of iron. MS4 Mossbauer Spectrometer System consists of closed cycle Helium cryostat with MS4 Spectrometer system. MS4 spectrometer system consists of W302 Resonant Gamma-ray Spectrometer with dual Multi-Channel Scalers, VT400 Velocity transducer, W202 Gamma-ray Spectrometer, Kr/CO2 Gas Proportional Counter 5 cm diameter tube with 2.54 cm dia. 0.2mm thick Be windows. System is equipped with a vibration isolation bellows and mounting flange assembly. This assembly is designed to decouple vibrations produced by the refrigator from the sample. Mossbauer Spectroscopy can be used to provide information in many areas of science such as Physics, Chemistry, Biology, Geology and Metallurgy.